The National Association of Nigerian Students (NANS) has called on President Buhari to step up on security in order to stop the incessant killings by herdsmen. Coming after the herdsmen attack on Taraba state, the students’ body declared that the Cattle Colony proposed by the federal government is dead on arrival and would not hold as government have no right in placing priority in any group of farmers. The NANS President, Comrade Chinonso Obasi who stated this while speaking to newsmen in Minna frowned at the delay of government towards ensuring that security is sustained in states that are under the attack of herdsmen. He stated that President Buhari need to stop focusing on 2019 and deal with the security issue at hand. “A government that cannot proffer security to the people cannot be proud to call itself a government. NANS is charging the President to step up in security, he should stop being presidential and listen to the yearning of the people. Speaking on the Cattle Colony proposed by the federal government, he said that government have no business doing business pointing that cattle rustling is a business which is not to be imposed on the people. He called on the government to create an enabling business environment and leave how to run the business to individuals saying that, “a farmer is a farmer. Cattle rearing is farming and there should not be any priority placed on any group of farmers. 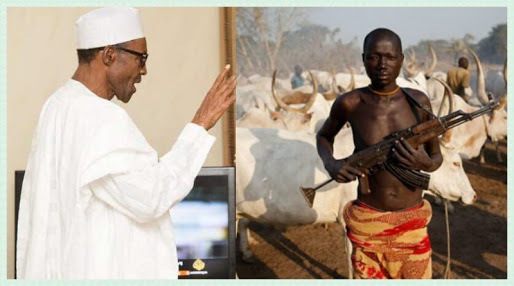 Imposing cattle herdsmen on the people is not the way forward. He then charged the President to implement the 2014 National Conference report stating that it would proffer a lasting solution to the insecurity issues bedeviling the Nation.